Bruce Shelley has been a professional game developer and designer since 1980 when he helped found the first game company he worked for, Iron Crown Enterprises of Charlottesville, Virginia. That company published role-playing games based on the Tolkien Middle Earth book series. 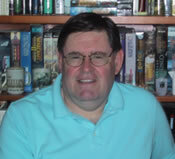 He joined Simulations Publications as a game design intern in the summer of 1981 and designed a game about the American Civil War that was published later in Strategy & Tactics magazine. In 1982 he moved to the Avalon Hill Game Company of Baltimore, Maryland, and worked there six years. Of the games he developed at Avalon Hill, his favorites were 1830, Titan, and Britannia. He joined Microprose in early 1988 and worked there five years. After helping with two flight simulators, he was assigned to work with Sid Meier in the summer of 1989. In the next seven months they designed the original edition of Railroad Tycoon, voted best strategy game of 1990 by the Software Publishers Association (SPA). In 1991 he assisted Meier with the design of the original edition of Civilization, voted best game of the year by the SPA and best computer game of all time by Computer Gaming World magazine. From 1992 to 1994 he worked freelance writing strategy guides for computer games. Bruce met Tony Goodman (founder of Ensemble Studios) and Rick Goodman (lead designer on Age of Empires) in the late 1970s at the University of Virginia’s game club. Bruce was a graduate student in economics. Rick and Tony were going to middle and high school locally. Fifteen years later Tony reestablished contact and invited Bruce to join them in starting Ensemble Studios in early 1995. Very shortly they began development of the game that became Age of Empires. Besides helping with the design of new games, he helped the new studio evolve its development process, acted often as a spokesman for the company and its games, and served on the company management team. He has written about game development for a variety of publications and has been a guest speaker at game development conferences around the world. He served from 2000 to 2006 on the Board of Directors of the Academy of Interactive Arts and Sciences. He lives outside Chicago, Illinois, with his wife, Barbara Otte, and two dogs. His hobbies, other than games, are travel, reading (history, economics, science, mystery), and collecting Boy Scout badges. He is a graduate of both Syracuse University and the State University of New York, College of Environmental Science and Forestry, at Syracuse University. He was on the freshman and junior varsity rowing teams at Syracuse, but switched to lacrosse for his junior and senior years, earning a varsity letter. He attended the University of Virginia for graduate studies in economics, but left academics to try the game industry.